Have you been accused of cheating on God? I keep reading James 4 and 5. It seems like for the past couple of years I will go through moments where I keep going back to these two chapters… over and over. The other morning I sat down to read and James 4 came to mind so once again I begin to read. The words, “You’re cheating on God.” stood out to me. My first reaction was, “No, I’m not.” Until I read the next couple of verses. You’re cheating on God. If all you want is your own way, flirting with the world every chance you get, you end up enemies of God and his way. And do you suppose God doesn’t care? The proverb has it that “he’s a fiercely jealous lover.” And what he gives in love is far better than anything else you’ll find. It’s common knowledge that “God goes against the willful proud; God gives grace to the willing humble.” (James 4:4-6, The Message). If you have been keeping up with me the past week or so – you will know I have been reflecting a lot from Margaret Feinberg’s new book Wonderstruck. I have been more focused on the wonder of God and how He takes the opportunity to show up in our lives. Margaret’s thoughts have led me down a path that looks for how God plans on showing up next. I have been finding that life is a bit more wonderful when I live with this kind of expectancy. God wants our attention. Not only our attention but our affection… deep love and commitment to Him. He desires for us to want only Him. The book of James reminds us, “he’s a fiercely jealous lover.” I asked myself, “Where have my pursuits and thoughts been?” Career, money, family, that problem I can’t seem to conquer, some sin, and/or God’s will more than God Himself – These are all areas in which any of us could be accused of cheating on God. Now why any of us would really do that is really the mystery. While I sit here and ponder this I really wonder how in the world I could ever put anything else before God. His love for us goes beyond what any language can communicate. In fact, His love is best communicated through the life of His Son – Jesus. But, I know the attraction to flirt with the world is there. The way James puts it each time I decide to give my focus and affection somewhere else – I am cheating on God. It doesn’t have to be a sinful thing that moves us into flirting with the world. It could be a good thing… even a godly thing… as long as it takes the place of God then we have walked into a situation that could lead us into relying upon ourselves, someone else, or that thing that has won our affection more so than God. So, where do your thoughts take you? Are you living in oneness with God or are you cheating on Him? 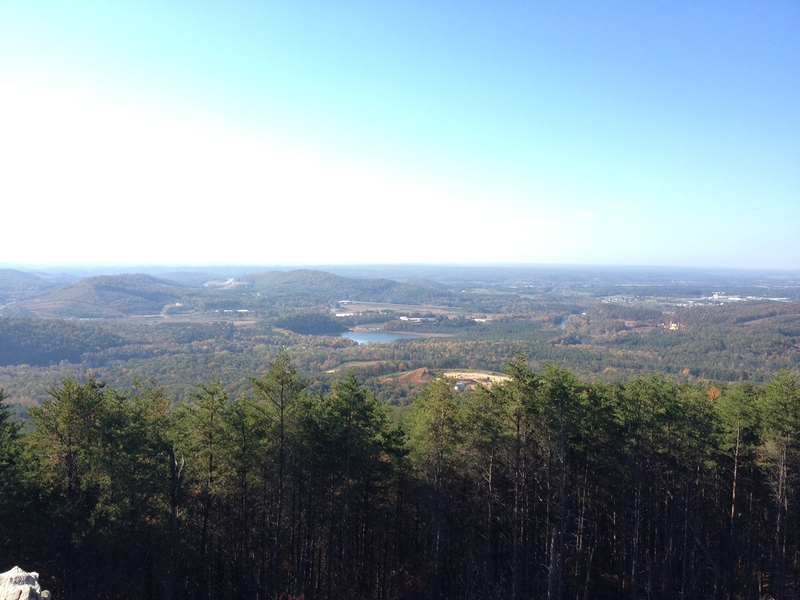 After my run up Pine Mountain I spent some time sitting enjoying the scenery and the cool breeze. I was the only one up there for the first 10 minutes or so. I was later joined by a woman who apparently ran up behind me then two other men who had hiked up with water bottles in hand and walking sticks. They sat down near me talking business and an acquisition they were considering. I thought it was an interesting way to discuss business. Based on their conversation (I wasn’t listening in at all – I promise) they go up there often. Once I was done taking in the sites and conversations I decided it was time to go. As I began the RunKeeper app on my iPhone I decided to run the other side of the mountain too. The purpose for the run beyond the exercise and scenery was to hear from God that morning. My checklist was complete with the exception of hearing from God. It wasn’t until I was heading back up the mountain on the other side that I encountered Him in a way that was real and personal. I had not been satisfied with just making it to the top. I wasn’t going back home without knowing the experience was complete. So if you’re serious about living this new resurrection life with Christ, act like it. Pursue the things over which Christ presides. Don’t shuffle along, eyes to the ground, absorbed with the things right in front of you. Look up, and be alert to what is going on around Christ – that’s where the action is. See things from his perspective. (Colossians 3:1-2, The Message). …it is nothing short of wonderful! I love the Fall season. The cool crisp air. 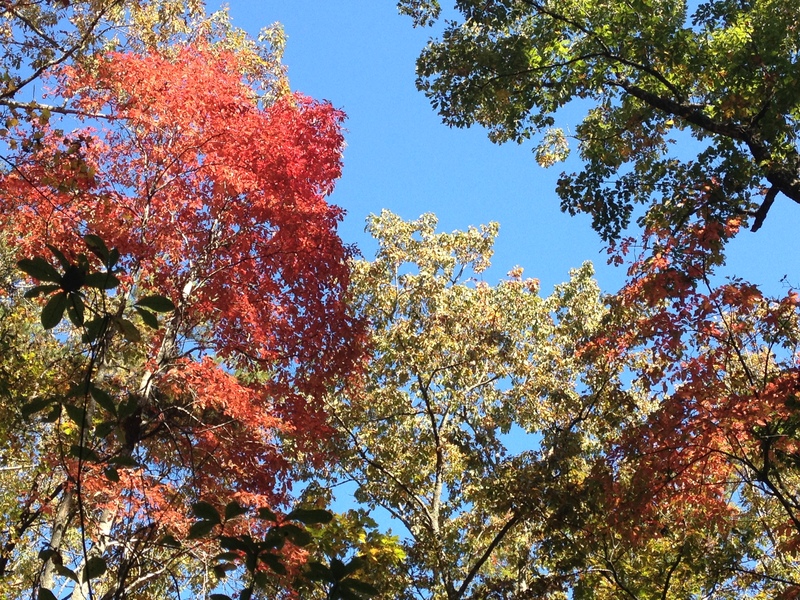 The leaves turning colors. I also enjoy the rain that typically accompanies the season. 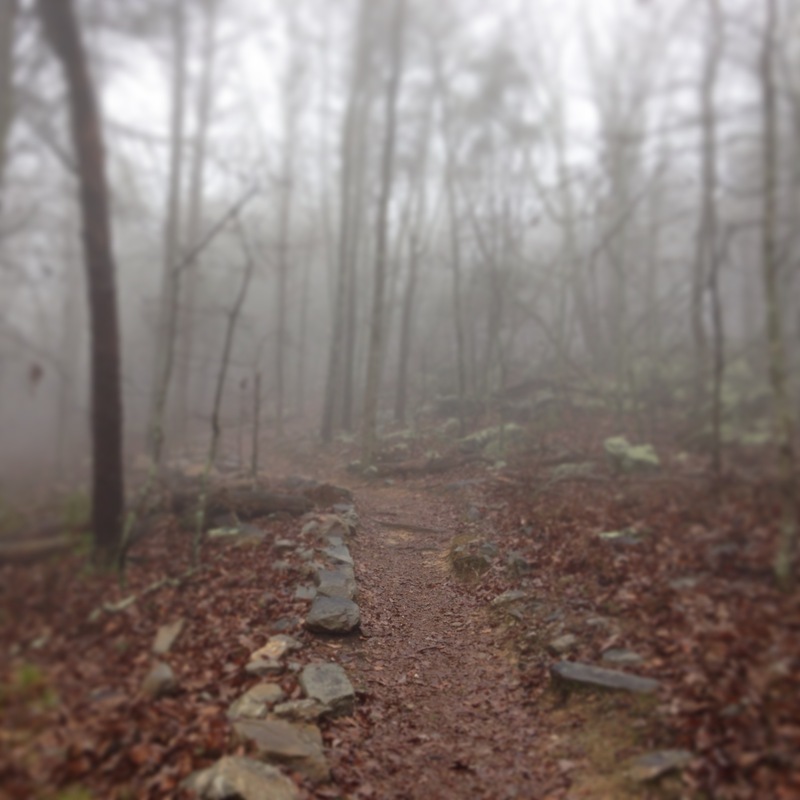 A couple of weeks ago I went for a run on Pine Mountain. It’s a beautiful little trail on the east side of our town. The Friday that I took off from work was perfect for some time with God on the mountain. My prayer that morning was to meet God on the trail, on the top of the mountain, see Him in the scenery, or hear Him in the breeze. I wanted to hear Him speak to me. I wanted to know He was with me. 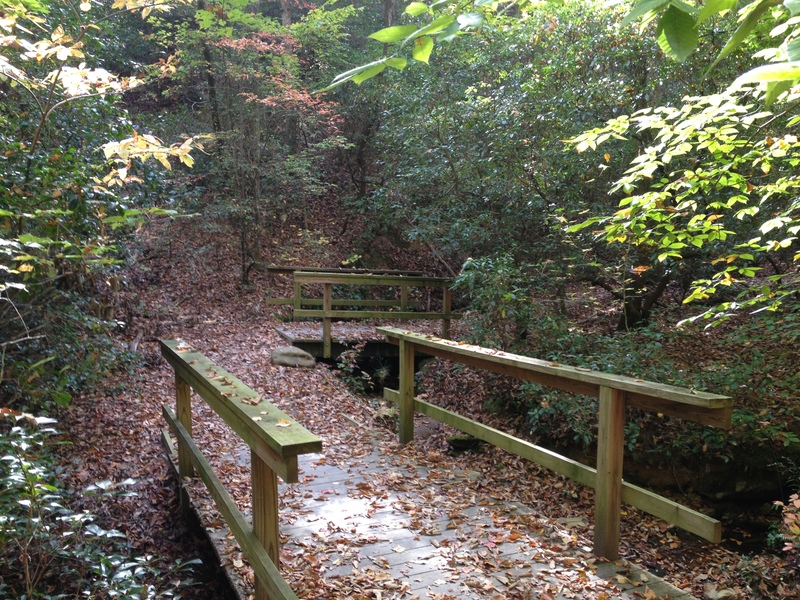 From every angle of the path, the leaves, and the mountain I looked at was picture perfect. (I took a lot of pictures). The colors of the leaves were absolutely beautiful. As I ran, I kept noticing the path I was on. The path continued to stand out. I would look at it off in the distance to see where I was headed. I would pay close attention to the rocks so I would not trip. Occasionally, I would stop and look back for a moment to see where I had been. The perspective of the path was always a bit different when I would take a moment to look back. Life has become overwhelming. You have lost your view of the journey. You are focused on the rocks in your path and the perceived darkness looming ahead. Roye, look at what you have begun to focus on… You are no longer enjoying the journey. I stood there tired. I stood there and understood. I stood there and I knew I was not alone. expect God to show up with divine wonder. God invites us to look up, open our eyes to the wonder all around us, and seize every opportunity to encounter him. (26-27). I have begun praying for God’s wonder. 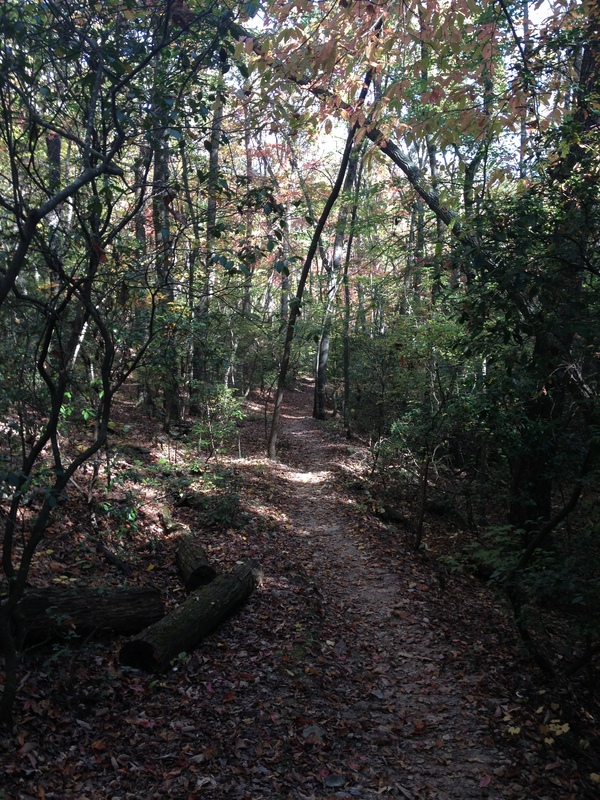 I believe my path has intersected with God… On the trail a couple of weeks ago and this week as I have been reading Wonderstruck. Little did I know God was preparing my heart two weeks ago to be reading this book now. I believe this is one of those wonderstruck moments Margaret writes about. I pray you will begin to look for God to show up in your life in places you would least expect Him to. In fact, I challenge you to ask God to show up in ways that only He can so you will know there is no mistaking that He is with you. Perfect timing for Margaret Feinberg’s latest book, Wonderstruck. Her new book is set to be released on December 25, 2012. I sat down in the living room to begin reading the first few chapters that were sent to me. As I began to read, I watched my youngest daughter play. She is only 2 years old and has a life ahead of her to learn and grow. I can see the wonder in her eyes with each new experience she faces. She hasn’t faced any real hardships in life beyond the occasional, “No, you can’t do that.” That moment made me stop and question if God looks at me in the same way. Does He see me as one who is filled with wonder? I also have 3 older girls and 2 boys. The oldest being 18 years old. She also has a life ahead of her to explore. I’m watching her as she applies to several different colleges around the country. Both of my daughters are looking at the world around them with wide-eyed wonder. They are both at different stages in their development – yet they both are on the crest of excitement as they adventure on in this life. Are you and I living with that same wonder? Margaret Feinberg’s, “Wonderstruck,” has not disappointed… I haven’t even started chapter 1 either! Her ability to draw my attention to the most simple and basic thoughts concerning God and His pursuit of a relationship with me are beautiful. Her introduction has drawn me to a place to pray – to ask God for wonder. I am confident you will also have a similar experience as you read it. The wonder of God is that moment of spiritual awakening that makes us curious to know God more. That moment lead me to praise and worship Him as I stood there that night. I pray I never lose my sense of wonder in my pursuit to know Him more. That’s why as I embark on this journey through Margaret Feinberg’s, “Wonderstruck,” I’m joining her and praying for wonder. I hope you will too. This song by The Choir, Wide-Eyed Wonder, came to mind as I was reading and watching my 2-year-old.